Anyone following the latest trend in internet retail industry knows Amazon offers a potential marketplace to all its dealers and get their products sold worldwide. Considering the global stature of Amazon, it is no doubt that it is an apt option for first-time business owners. The most recent Geekwire report suggests that Amazon now has a total of active 244-million customers worldwide. The online retail giant already conducts several webinars, blogs, news sites, and peers forums to make each of its associate enlightened about the company’s latest policies and new strategies. Conferences serve as a ready reckoner for the Amazon sellers. 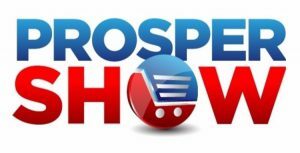 The sellers should attend these events to learn the nitty-gritty of Amazon selling. Every Amazon service provider has to ensure that customers get maximum satisfaction while buying their products. This show is exclusive to Amazon sellers. It meets the demand of both private labelers and advanced sellers. 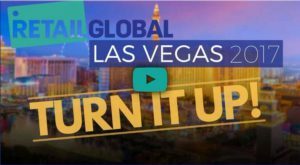 The show will include a conference by world-famous business motivator Michael Geber. It is one of the biggest events for the Amazon traders next year. Thousands of industry veterans are likely to share their knowledge and insight about the business to the participants. The eStore Factory, the leading Amazon SEO consultant stated that such events always acted as an eye-opener to the umpteen sellers who wish to sell their products more online. It offers an exceptional option to FBA vendors to augment their product selling on Amazon. The content of the event is highly inspiring with 96% of the attendees rated the conference excellent and outstanding. This is an annual event strictly for 400 Amazon vendors. The delegates deliver some keynote speeches to help Amazon seller optimize their current listings and concurrently promoting the new product launch. The event is slated for sometime in the early next year. 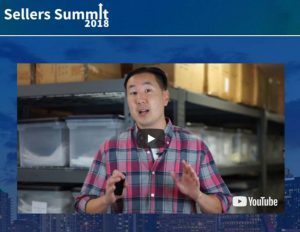 The Sellers Summit is essentially for the Amazon sellers who wish to gain some deeper insight into how to sell more online. The eStore factory claimed that the conference is essential for both the beginners and experienced sellers too. Especially, it is highly beneficial to 54-million Amazon Prime Members who want to gain some in-depth knowledge about how to become successful on Amazon. The first of its kind event, Midwest E-Commerce Conference will take place sometime in 2018. The event will be organized in consultation with the Amazon’s Self Service Performance Advertising (SSPA) team and the vendors as well. 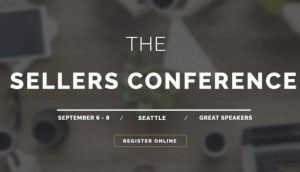 It was formerly known as SCOE (Sellers Conference for Online Entrepreneurs) and is one of the oldest conferences on issues regarding SEO for Amazon sellers. It is perfect for the beginners who wish to make it big in the world of sales. A statistics claim that 75% of participants found a considerable increase in their Amazon sales with such events. According to Amazon optimization consultant, day by day, the brand’s visibility, credibility and the relentless trust of the customers and its associates are being enhanced at the worldwide level. The 2015 survey by BloomReach claimed that 44% of online buyers immediately log on to Amazon website before checking any other e-commerce portal. Therefore, in the domain of online marketing and e-commerce, Amazon still rules the roost. Attending these events will be surely learning and enlightening experience for the participants and visitors next year.